From the launch of our first range of outdoor furniture in 1954, we implement our knowledge and experience for our national interest. 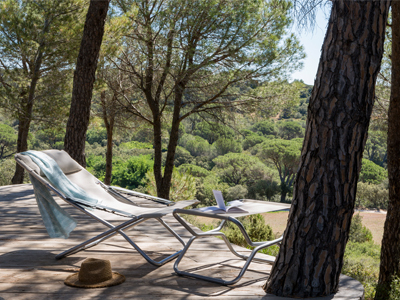 Over the course of time, different product ranges with unrivalled comfort such as the sun lounger or the essential outdoor table and chair combination, have been created in Anneyron, a small town in the Drôme region, of around 4,000 inhabitants, 70km away from Lyon. 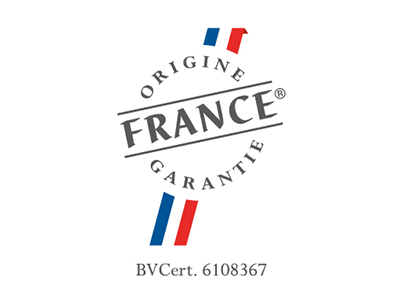 In 2014 we decided to start the certification process for Origine France Garantie (OFG) (Guaranteed Made in France). This label certifies that at least 50% of the cost price of our products (raw materials and labour) originates in France and that the main production steps take place in France. The OFG label recognizes our commitment to industry in France! The OFG label began in 2010 following a report published by Yves Jégo and dedicated to Marque France (Brand France). The Pro France association sets out the specifications of the label and undertakes to promote it. The application of these specifications must then be monitored by an independent certification organisation which checks the production practices and process for each of the company’s products. This system therefore guarantees the label’s independence and credibility for customers. In summary, thanks to this unique label, you can be sure that the manufacturing process of your relax chair or your lounger happens for the most part - or even completely - in France! It is an additional asset to emphasise our French manufacturing with an indisputable label, easily identifiable by the greatest number of you. IN CONCRETE TERMS, HOW DOES THIS WORK AT LAFUMA MOBILIER ? 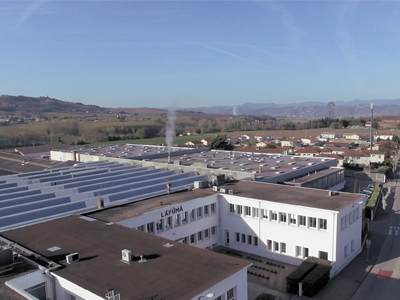 2 sites for design and production: the brand’s historic site in the Drôme region and our affiliate Lallemand in the Ain department, specialists in plastics processes. * The only stage that is partly decentralised to Tunisia to use the capacity of a Group factory. However, we have succeeded in maintaining the specific skills for sewing padded fabrics and for certain products in the Privilège collection at the Drôme factory site. - Since 2009 we have been members and the driving force of the « Marques & Savoir-Faire en Drôme des Collines » (Drôme Brands and Knowledge) ; - In 2016 a Pop Up for 100% Made In France appeared, arising from the collaboration with the Drôme jeans manufacturer 1083: a company that also holds the OFG label for its organic jeans, spun, dyed, woven and crafted in France. Are you thinking of reorganising your outdoor seating area? Going to the beach this summer? 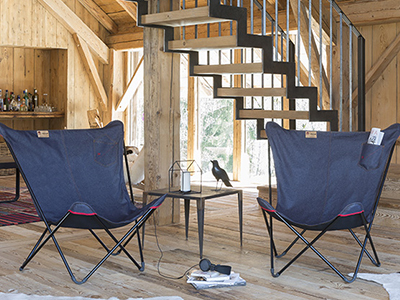 We have a wide choice of products all Made in France such as the timeless garden chair, the deckchair available in various colours, and also the fans folding outdoor table or even the camping chair for camping fans. Consumers are increasingly more demanding regarding the source and the quality of the products they buy. More than ever, they want to promote localised manufacturing and consumption. In fact, from figures produced by Ifop, 95% of French people believe that buying a French product is a civic act. Additionally, according to a study carried out by CREDOC in 2014, 50% of French people stated that they preferred Made in France products when shopping and 61% said they were ready to pay more for Made in France products, and it shows! 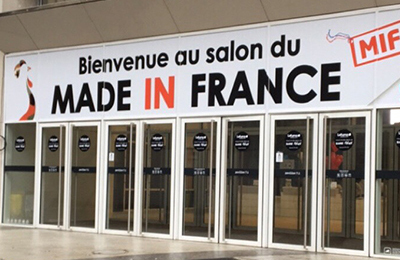 The MIF Expo has quickly become a major event in the Made in France calendar. At the 7th event which was held in November 2017 in Paris, the exhibition attracted 55,000 customers who wanted to buy products manufactured in France. At the Origine France Garantie stand, we exhibited all of our OFG labelled products for the 4th consecutive year. In the role of regional ambassador for the label, Lafuma Mobilier is proud to contribute to its promotion and reputation. It is inter-disciplinary (combining all sectors), distances itself from self-promoting quotes which are difficult to verify (such as “made in France “, “designed in France”, “manufactured in France”…) and assures customers about the traceability of a product by providing a clear and objective origin label. To find out more about the OFG label: www.originefrancegarantie.fr. A directory of all the products holding the label is available on their website.